Louise Lyon has been a writer since 1989. Her work has appeared in "Family Doctor," "AARP Bulletin," "Focus on Healthy Aging" and other national publications covering health and science. She holds a Master of Science degree from the Columbia University School of Journalism. How Long Does Iron Stay in Your System? Does Vitamin E Help Reduce Menstrual Bleeding? Iron is an essential mineral mostly found in your blood, where it helps move oxygen throughout your body. Iron deficiency is the most common nutritional disorder in the world, causing anemia, according to the University of Maryland Medical Center or UMMC. Iron is safe at appropriate doses, but at high doses it may cause serious side effects and even death. Do not take iron without consulting your doctor first. As much as 80 percent of the world’s population may be iron deficient, and up to 30 percent may have iron-deficiency anemia, according to UMMC. Anemia causes weakness and constant fatigue, because the lack of iron in the blood deprives the body of the oxygen it needs to function properly. The most common and effective use of iron supplements is to treat iron deficiency and iron-deficiency anemia. If you suspect anemia, see a doctor for a proper diagnosis, because other serious conditions can cause the same symptoms. A doctor should also oversee your care and your use of iron supplements. In children, iron deficiency may interfere with normal growth and development. Inconclusive preliminary evidence shows that iron supplementation may improve thinking, learning and memory in children with low iron levels, according to MedlinePlus. Iron may possibly help children with attention-deficit hyperactivity disorder, but the research is insufficient. Children are particularly susceptible to the toxic effects of iron, and iron is the most common cause of poisoning deaths in children, according to MedlinePlus. Do not give children iron supplements unless a doctor has prescribed them, and be sure to follow dosage instructions carefully. Low levels of iron in the blood may cause a drop in energy levels, even when the levels are not low enough to cause anemia, notes the UMMC. Taking iron pills may improve exercise capacity and performance in people with low iron levels. 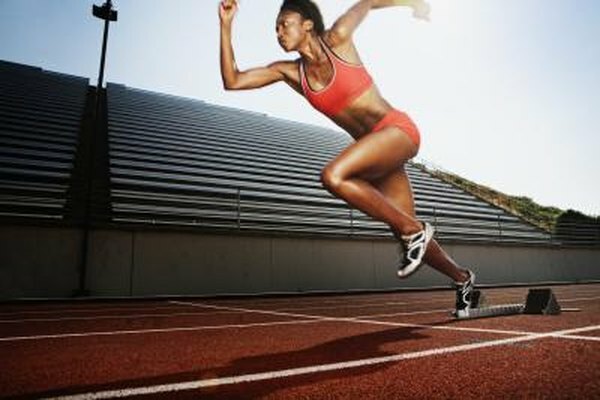 Because female athletes face a higher risk of iron deficiency than many other populations, making iron tablets -- taken under the supervision of a doctor -- especially beneficial. Iron supplements may help ease the dry cough caused by taking ACE inhibitors, a type of blood-pressure medicine, according to the UMMC. Iron tablets may also improve the effectiveness of medications aimed at building up red blood cells in cancer and kidney dialysis patients. Iron is sometimes used to treat canker sores, Crohn’s disease, depression, infertility and heavy menstrual bleeding. However, evidence is not sufficient to prove these benefits exist. Do Prenatal Vitamins Cause Acne?